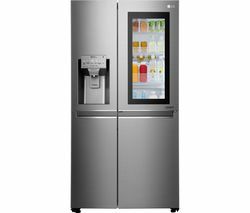 High-quality refrigeration with stylish product finishes and convenient features run through our range of LG fridge freezers at Currys. Whether your preference is brushed steel, black, silver or classic white, we have an LG refrigerator to complement your home. Our range includes models with exceptional storage space that give you plenty of room to store enough fresh and frozen goods for the whole family. 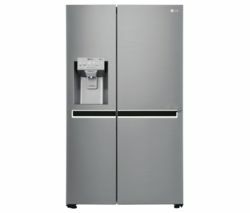 Save yourself from the chore of manual defrosting with a frost free LG refrigerator, and enjoy a cold drink at your leisure when you choose an appliance with a water dispenser. Some of our models include fast freezing technology that gets new groceries down to the right temperature, locking in nutrients and protecting what’s already in the freezer. 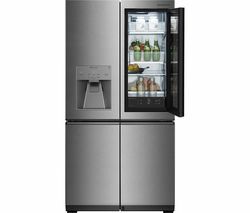 As well as fridge freezers with configurable storage options, we offer appliances rated from A+ to A+++ to give you better energy savings and a way to reduce your carbon footprint. 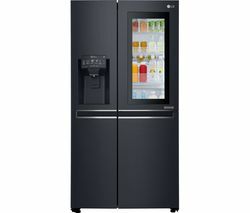 Consider an LG fridge freezer to store your food in style.